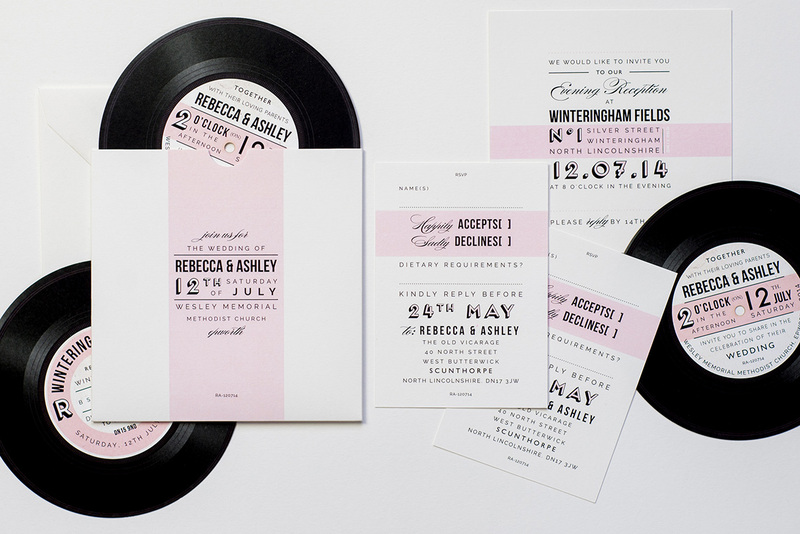 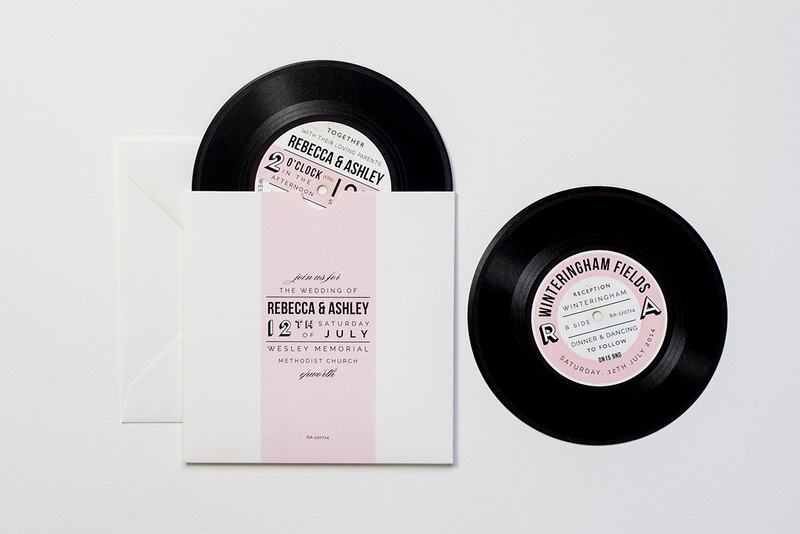 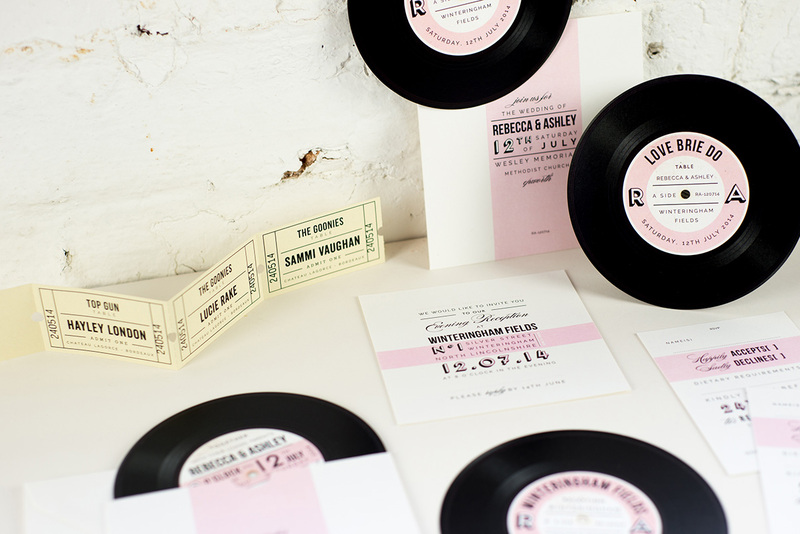 Music lovers Rebecca and Ashley wanted vinyl record inspired invitations so that’s just what we did! 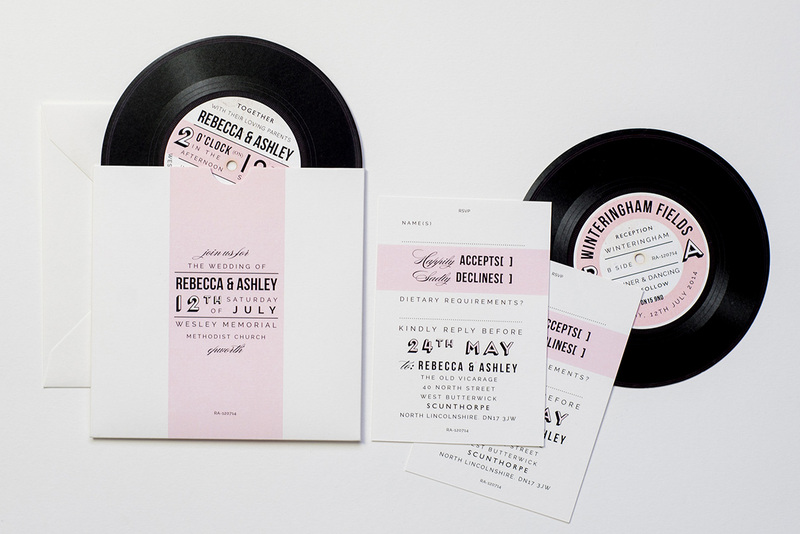 Each invitation was designed to look just like a real record with full attention to detail on both the A side and B side. 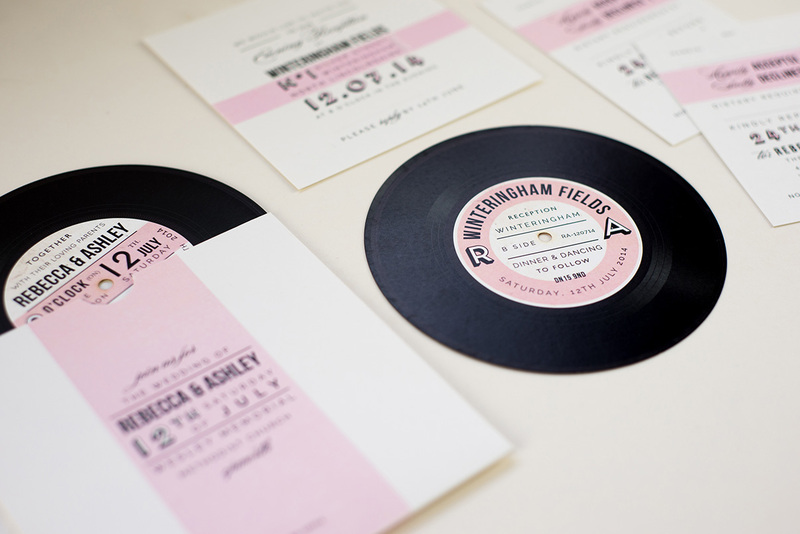 They were then laser cut into circles and placed into handmade record sleeves. 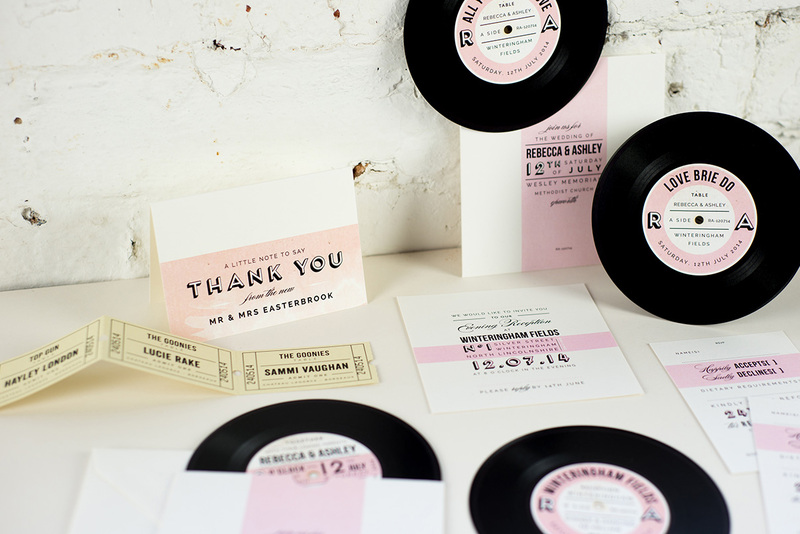 The style was carried through to the day stationery with record shaped table names, coordinating table plan and individual place card ticket stubs.